"On March 30, the first prototype of the IL-112V light military transport aircraft took to the skies… The flight ran smoothly", the aircraft maker said in a statement. The flight took place near the southwestern city of Voronezh, one of Russia’s aircraft-making hubs. Ilyushin CEO Alexey Rogozin said all trials were cleared and no major issues were detected. "The crew performed all tasks of the maiden flight program. No serious issues were detected during the flight. Chief pilot Nikolay Kuimov confirmed superb qualities of the new plane", he told Sputnik. The plane is the first military transport aircraft to be built in Russia from scratch. 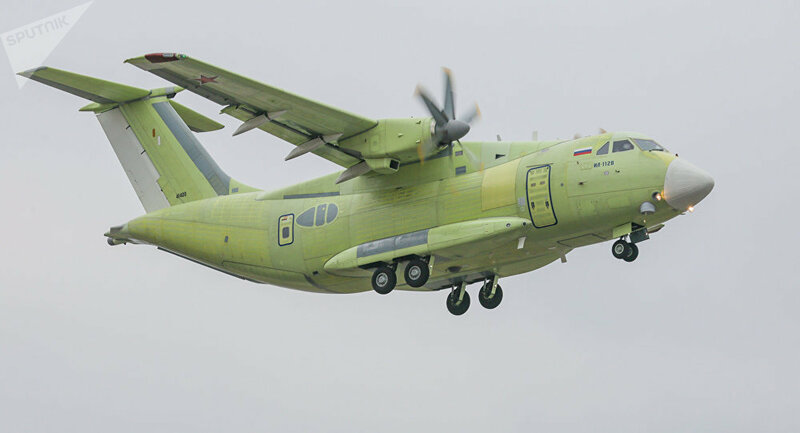 It has been under development since 2014 to replace the Russian Defense Ministry’s ageing fleet of Soviet-made An-26s as they reach the end of their lifespan.